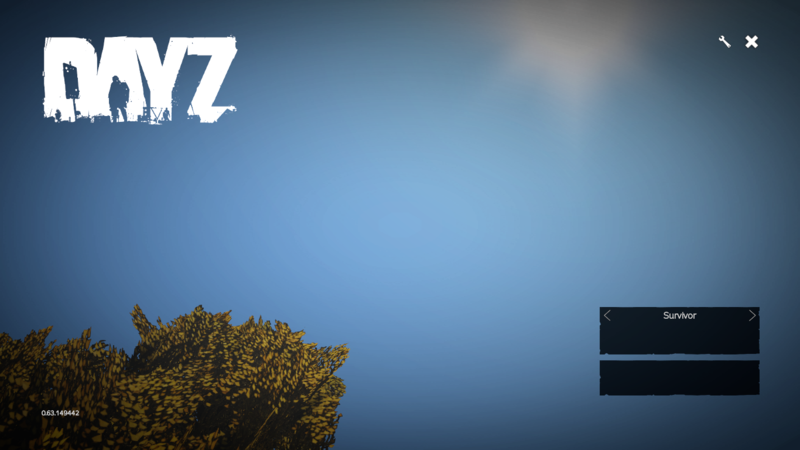 I have just re-downloaded Day Z when I saw you are now in Beta. I haven't changed PC and had no problems running it before. 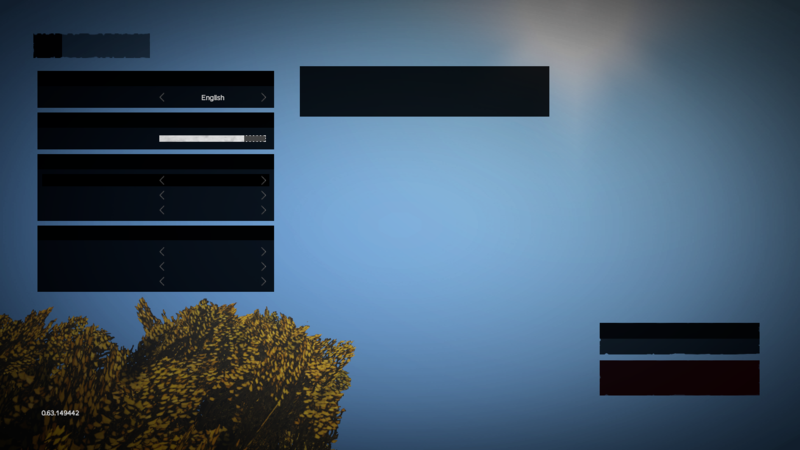 Now for some reason, the majority of the writing in the menu's does not show up. This is making playing the game impossible. I have attached screenshots below to demonstrate the issue. Hello stuartlee275 and thank you for the report. Have you tried to verify the game data in Steam to see if it has any effect on the issue you are experiencing? If you remove the appmanifest_221100.acf file located in C:\Program Files (x86)\Steam\steamapps, uninstall the game and change your download region, does the issue still appear even upon re-installing and launching the game? Also, are you using any startup parameters? Just tried that and still doing the same thing. I can say I've never seen this issue in beta or exp branch Stuart, have you updated your video drivers ? Yes video drivers are all up to date. Checked all moniters and graphics. Any other idea's? I don't want to ask for a refund as I really enjoyed the bit of the game I have played so far, and really keen to see it in Beta. Ok, is there anything else you can suggest. If not going to have to ask for a refund. @stuartlee275 since you have mentioned that you have been able to run the game previously without any issues in the ticket description, was this on the 0.63 version or 0.62 (or possibly even lower?). Also, are you using any programs to optimise your game graphics by any chance? It was probably even lower, had been well over a year since I played. Not using any programs to optimise. Can you please upload a dxdiag file from your computer for us? This comment was removed by Alex_Stevenson1. Just a bit of potentially helpful info here. I was having the exact same issue as OP. 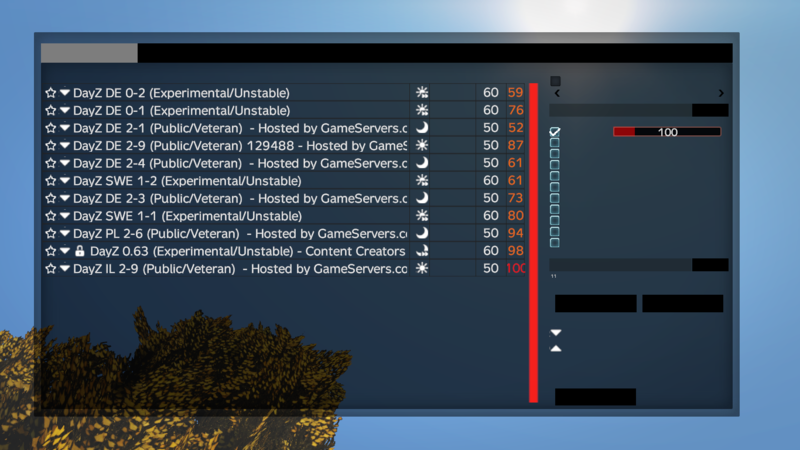 Menu was blank except for server names and if i tried to join a server, my game would crash completely. after doing some process of elimination troubleshooting, I restored Windows to a fresh install but kept all my files intact. I also updated my BIOS to the latest release. I re-downloaded Steam, Re-installed the latest driver for my GTX1070 and made sure i installed every windows update package they had for me. when it came time to re-install DayZ, I instead installed it on my C drive SSD that has windows on it. Before i restored windows and i was having all these issues, DayZ had been installed on my HDD where i usually install all my games. everything runs flawlessly now. not a single crash and the UI is back to normal. Im back in Chernarus. So maybe it was a corrupt windows file? Maybe my HDD didnt agree with Dayz? Maybe my 1070 had a half-assed driver install somewhere in the past? not completely sure, but id just thought to share what steps worked for me.